Anwyl construction are delighted to have secured a place on a partnering contract which will share around £500 million of guaranteed work over the next 10 years under a pioneering project by Wales & West Housing to build 6000 affordable new homes in Wales. 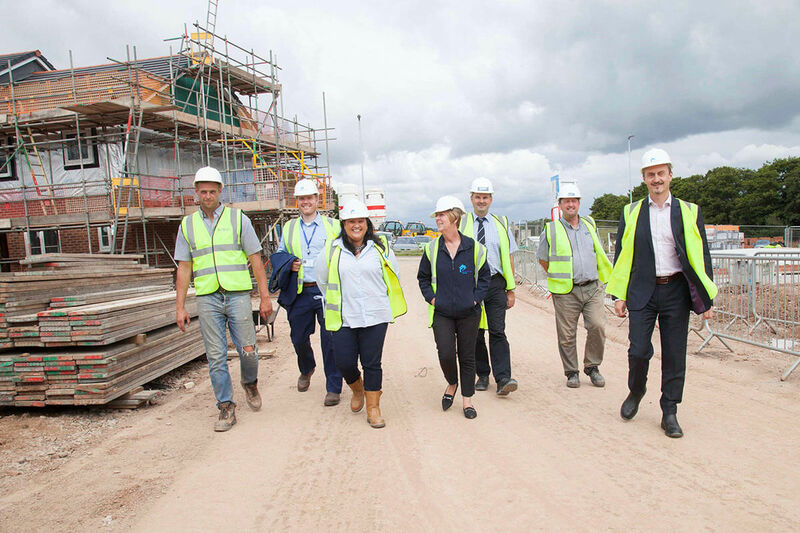 For the first time in its history, the housing provider, which has a North Wales office at St David’s Park in Ewloe, has entered into decade-long partnerships with contractors as part of its commitment to solving the housing crisis in Wales. The new contracts, will secure hundreds of jobs and deliver much-needed homes every year until 2028. A further 500 new apprenticeships are also expected to be created through the lifetime of the partnering contracts. Anwyl Construction were chosen from a shortlist of 40 and has been awarded contracts to work on developments across the North Wales region. “There is a chronic shortage of affordable housing in Wales and the best way for us to build more homes more efficiently than ever before is through these partnership agreements. “We’re immensely proud of the fact that we’ve been able to guarantee such a high volume of work for so many companies over the next decade, which will help to secure jobs and provide a boost to the Welsh economy. “Our ethos is to forge long-term partnering relationships with our clients and we are delighted to continue our partnership with Wales & West Housing through our appointment on the 10-year development contract. 150 the number of new homes completed in the last six months to house families and single people in need of homes from local authority housing waiting lists.